Oliver Luck is getting paid handsomely to make the XFL successful. This week features a discussion on how Vince McMahon is showing that he is investing well into the league as well as speculation on the 30 cities that were sent proposals last week. Oliver Luck was named the Commissioner of the XFL this week and we have a complete biography on the man, plus reaction to the hire and what it means for the building of the league. This week we find out what people saying as the XFL poses more and more questions on social media by sifting through the comments sections on Twitter, PFT, and other sites talking XFL. Plus, get the latest AAF news and a lengthy discussion on the future of the kickoff. 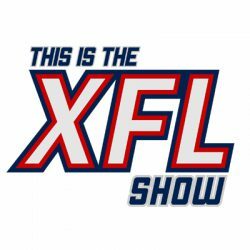 This is the XFL Show Episode 17: Survey Says! This week features a lengthy discussion about a survey of new ideas Alpha Entertainment released in May. The XFL was also (relatively) active on social media this week. We recap their tweets and discuss the latest AAF news. This week our guest is the journalist who broke the news of the XFL’s impending return a full month before Vince McMahon’s press conference. His name is Brad Shepard and he gives us insight into what it has been like for members of the media as they try to extract any kind of information from the league as they are keeping us fans in the dark regarding the reformation of the the XFL. It’s an tremendous conversation about the XFL’s relationship (or lack-thereof) with the media and fans that you cannot afford to miss! We also dip our toe into the survey that leaked about potential innovations we could see in the new XFL and talk AAF news. This week Alan and Bryant chronicle what it was like for them as fans of the first and only XFL Champions, the Los Angeles Xtreme. Go on a journey and learn what it was like to be a fan following Tommy Maddox all the way to the Milion Dollar Game. We also discuss infamous stories and incidents surrounding the team.